U.S.A.F. 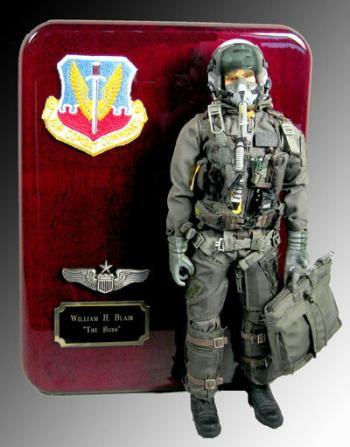 aviator in full dress plaque [PLA-388] - $389.95 : Metalcraft by Blair - military gifts and memoribilia. Due to minimal availability of the doll allow plenty of time for delivery. WOW-- what a neat way to say that something special for that special person-- want to say thanks for a job well done-- how about congratulations on your retirement--- or -- congratulations on your promotion and goood luck. What ever you need to say we can say it for you. We can apply the pins or badges of your choice -- also any branch of service. This one is for the U.S.A.F. The engraved name plate is verbage of your choice .